By Wednesday night, I was hooked. 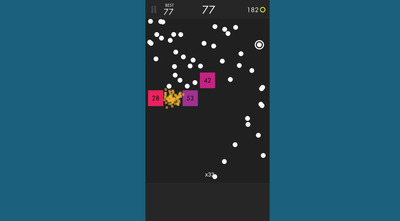 “Ballz” — from Ketchapp Games, the controversial company behind “2048” and countless other mobile games — has a lot going for it. It’s simple, easy to master, and gets better as you play. Oh, and it’s also totally free. 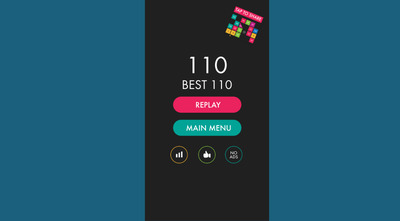 You can play it on either iPhone or iPad. 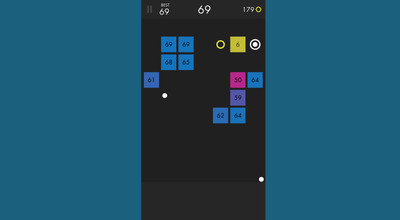 'Ballz' is similar to 'Breakout,' where you use a ball to break through layers of tiles or 'bricks,' but with a few twists: Each block has a number, and you must hit the block that number of times in order for it to break. Also, once the ball floats back down to the ground, all the tiles move down a step. 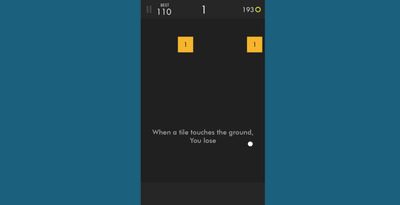 If any tile reaches the bottom of the screen, the game is over. 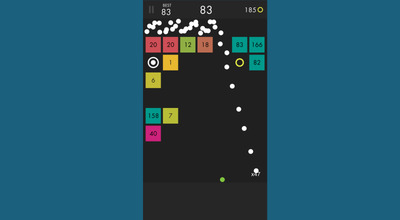 You start the game with just one ball, but you collect and accumulate more balls throughout the game, which helps break blocks with high numbers. 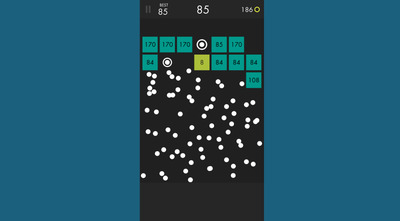 As you accumulate more balls, each shot becomes more and more satisfying, since you can ricochet around the screen, using the geometry of the blocks and the full arena to break up the grid. You really need to see it in action. My fiancée and I played this game together for over an hour last night. Your score is a tally of how many shots you've taken without a tile reaching the bottom of the screen, and for a while, we both topped out around 45. But here's a tip: Always try to get your balls to the ceiling. Regardless of the blocks on the screen, 'Ballz' always keeps the top layer totally clear, which is perfect for endless ricocheting off surfaces. With some carefully angled shots, I reached my new best last night. I may have celebrated this a little too hard. 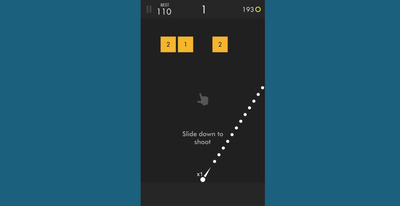 Regardless, 'Ballz' is an incredibly fun, incredibly addictive game that's perfect for passing the time. And it's free! There's really no reason not to try. You can download 'Ballz' right here.